A writing proposal for telecommuting challenge is one that may be worth facing. Many promising careers are suitable for technological advances that make working from home possible. 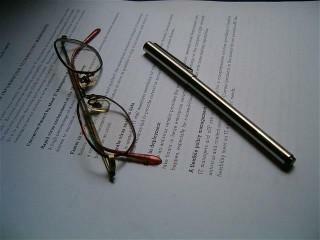 A well-written proposal can nudge an employer in the right direction. Employees may be encouraged when they consider that it is more common for employers to convert an existing position into a work-at-home arrangement than it is for job seekers to find open telecommuting positions. The first step in the process is to evaluate the position's potential for work-from-home status. The nature of the job should be viable for the arrangement. Employees can benefit from researching their company's status on hiring telecommuters. Some may be pleasantly surprised that there is already a telecommuting program in the organization. The best place to begin the research is the company's human resource department. Consider ways to determine whether the employer is open to the idea before taking on the writing proposal for telecommuting task. The company may be receptive if it offers flexible work options, flextime, or other programs designed to boost employee retention. Employees may also benefit from researching competitor companies to see if they offer telecommuting positions. The proposal should offer insight into how the telecommuting position can benefit the employer. Organize supporting information including benefits and personal work performance when outlining the proposal. The process is similar to creating a resume and preparing for an interview. The benefits for the employee are readily recognized but there are many benefits for the employer as well. Highlighting how the arrangement can benefit the company is a very important component to creating a proposal that works. Obtaining facts and figures on outsourcing can help strengthen a plan. The writing proposal for telecommuting can include supporting information including competitors that hire telecommuters and statistical information. The characteristics of a good telecommuter are viable starting points that can lead to a well-developed proposal. These characteristics can be highlighted as the employee outlines objectives in the telecommuting arrangement. Combining these elements with the job description is ideal.It is very important to include accountability in the presentation. Employees can begin by highlighting their proven reliability in the workplace and segue into modes of communication. Employees can offer to fax or email responsibilities and objectives on a daily basis. Employees can paint a picture of the telecommuting arrangement. Some may benefit from creating tables and diagrams illustrating the daily routine. The employer may be receptive to a clear image of the home office environment as she mulls over the idea of creating a telecommuter position. An oral presentation should support the written proposal. Just as interviewees should have well rehearsed answers to interview questions, employees who are pitching converting their current job to a telecommuting position should have well thought out explanations of how the arrangement is beneficial to both parties. Clearly outlining the argument in written form is a great foundation for the telecommute interview. Employees can arm themselves with statistics, examples and a clear picture of the home office environment. These elements come together with an oral presentation that presents an effective argument and a written presentation that closes the deal.